Selenium WebDriver is a browser automation tool which provides a lightweight and elegant way for testing web apps. Selenium WebDriver is now available as an SDK extra in the Android SDK, and supports 2.3 (Gingerbread) and onwards! Whether or not your site is optimized for mobile browsers, you can be sure that users will be accessing it from their phones and tablets. WebDriver makes it easy to write automated tests that ensure your site works correctly when viewed from the Android browser. We’ll walk you through some basics about WebDriver and look at it in action. WebDriver tests are end-to-end tests that exercise the web application just like a real user would. WebDriver models user interactions with a web page such as finger flicks, finger scrolls and long presses. It can rotate the display and interact with HTML5 features such as local storage, session storage and the application cache. Those tests run as part of an Android tests project and are based on Junit. They can be launched from Eclipse or the command line. WebDriver tests can be wired with a continuous integration system and can run on phone and tablet emulators or real devices. Once the test starts, WebDriver opens a WebView configured like the Android browser and runs the tests against it. 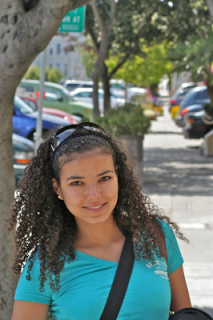 WebDriver is an Android SDK extra and can be installed following these instructions. Once you’ve done that you’ll be ready to write tests! There is a comprehensive WebDriver user guide on the Selenium site, but let’s start with a basic example using www.google.com to give you a taste of what’s possible. First, create an Android project containing an empty activity with no layout. Then create the Android test project that will contain the tests. WebDriver will create the WebView and set the layout automatically in the main Activity. Let’s write a test that opens the Google home page on Android and issues a query for “weather in San Francisco”. The test will verify that Google returns search results, and that the first result returned is giving the weather in San Francisco. Now let’s see our test in action! WebDriver will create a WebView with the same configuration as the Android browser in the main UI thread, i.e. the activity thread. The activity will display the WebView on the screen, allowing you to see your web application as the test code is executing. We’ve mentioned that WebDriver supports creating advanced gestures to interact with the device. Let’s use WebDriver to throw an image across the screen by flicking horizontally, and ensure that the next image in the gallery is displayed. Now, let’s rotate the screen and ensure that the image displayed on screen is resized. If this has whetted your appetite and you’d like to know more, go ahead and install the Android WebDriver, take a look at the documentation on the Selenium project’s wiki, or just browse the javadocs. For questions and feedback not only of the Android WebDriver but also its desktop brethren, please join webdriver@googlegroups.com. For announcements keep an eye on http://seleniumhq.wordpress.com/. Previously, library projects were handled as extra resource and source code folders to be used when compiling the resources and the application’s source respectively. While this worked fine for most cases, there were two issues. 1. Developers asked us for the ability to distribute a library as a single jar file that included both compiled code and resources. 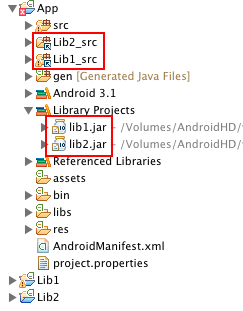 The nature of Android resources, with their compiled IDs prevented this. 2. The implementation of the library projects was extremely fragile in Eclipse. Adding extra source folders outside of the project folders is non-trivial when it needs to be handled automatically, in a way that doesn’t expose a user’s local installation path (which is required for people working in teams through a source control system such as SVN or git). For r14, we decided to fix both issues at once, by moving to a compiled-code based library mechanism. This solves the implementation fragility in Eclipse and will allow us to, later, enable distribution of libraries as a single jar file. As you might have seen in the release notes, moving to this new mechanism can affect existing projects in some cases, but there are simple fixes. The first impact of this change is that the new library project requires the resource IDs generated by libraries to be non final. This prevents the Java compiler from inlining the values in the library code, and therefore prevents usage of the switch statement in the library code. To address such occurrences in your code, Eclipse provides a refactoring action to convert from switch statements to if/else (see here). Second, some projects may not have been properly migrated to the new mechanism, resulting in projects that fail to compile, with errors such as duplicated classes being added in the dex build step. ADT 14 should have migrated older projects to the new mechanism but the fragility of the old mechanism may have prevented it from happening. This makes projects reference the libraries twice, using both the old and new mechanisms, which then triggers the libraries classes being packaged twice. If you see this in your projects, look in the Package Explorer for extraneous source folders named with the pattern <libraryname>_src. The screenshot to the right shows an example of this. A dialog will pop up. In it, make sure to check “Also unlink the folder from the project” to completely remove the folder. With this change to library projects, we pave the way to better support for reusable components. We will continue working to make components easier to create, work with, and manage. Our goal is to make it easy for developers to create apps with great user experiences that easily adapt to all form factors. Some developers have also told us that they only use library projects internally, that they don’t need to distribute binary versions and would prefer to continue with a source-based mechanism. We are investigating how we could support this alongside the new mechanism. Finally, I wanted to point out that we are tracking a few known issues (and workaround for them) in the current r14 tools at this page: http://tools.android.com/knownissues. We are working on a tools update that will include fixes for most of these. We are hoping to have it out shortly. Last week, we released the SDK for Android 4.0 and a new set of developer tools, now in revision 14. The updated tools include a lot of build changes, many that improve build performance. Also included is an under-the-hood change in how libraries are used by main projects — a first step in improving library support and code reusability. While the change should have little impact on existing projects, some developers have had issues when migrating to the updated tools. Please read below for more information about the change to library projects and how to solve migration issues. If they’re publicly documented, they’re part of what we consider the Android Application Framework. This means their tests appear in the Compatibility Test Suite (CTS) so that our hardware partners have to prove that the APIs work, and that we promise to try very hard not to change them and thus break your code. In almost every case, there’s only one reason for leaving APIs undocumented: We’re not sure that what we have now is the best solution, and we think we might have to improve it, and we’re not prepared to make those commitments to testing and preservation. We’re not claiming that they’re “Private” or “Secret” — How could they be, when anyone in the world can discover them? We’re also not claiming they’re forbidden: If you use them, your code will compile and probably run. And in fact we know of quite a few apps out there whose developers have used undocumented APIs, often to good effect. It’s hard to get too upset about this in cases where there’s a useful API that we haven’t gotten around to stabilizing. But the developers who use those APIs have to be prepared to deal with the situation that arises when we move them from the undocumented outside into the Android Application Framework. Fortunately, this is reasonably straightforward. Also we take a close look at Android Market, using our in-house analytics tools, to get a feel for the impact when we know one of these changes is coming. 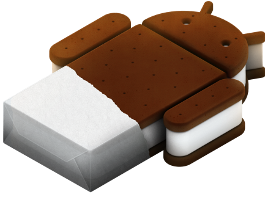 There are a few such changes coming up in the Android 4.0 “Ice Cream Sandwich” (ICS) release of Android. We wanted to take the opportunity to combine these words on undocumented APIs with some specifics about the changes. Let’s start with the good news: As of ICS, the Android Framework will include a fully-worked-out set of APIs for accessing Calendar data. You can guess the bad news: Quite a few developers have built apps (including many good ones) using the undocumented Calendar APIs, some using fairly low-level access to the calendar database. Unfortunately, these integrations were unsupported, and prone to breakage by platform updates or OEM customization of calendar features. We want to see lots of good calendar apps and extensions that work reliably across Android devices, and aren't broken by platform updates. So we decided to create a clean API, including a comprehensive set of Intents, to manage calendar data in ICS. Now anyone can code against these new APIs and know that Android is committed to supporting them, and that partners have to support these APIs as part of CTS. Once the new APIs arrive, you’re going to have to update your apps before they’ll run correctly on ICS while still working on older releases. There are a variety of techniques for doing that, many of which have been featured on this blog, including reflection and lazy loading. Recently, we introduced Multiple-APK support, which could also be used to help with this sort of transition. Android has never really had a text-to-speech API at the Framework level, but there was unofficial access at the C++ level. With ICS, we will have a fully-thought-through application-level API running on Dalvik, so you can access it with ordinary Java-language application code. The old C++ API will no longer be supported, but we’ll have a compatibility layer that you can use to bridge from it to the new API. We think it should be easy to update for ICS with very little work. We recognize that this means some work for developers affected by these changes, but we’re confident that Android programs in general, and both Calendar and TTS apps in particular, will come out ahead. And we also think that most developers know that when they use undocumented APIs, they’re making a commitment to doing the right thing when those APIs change. Since Android is open-source, anyone can look at the code and see how it works inside. If you do this, you’ll notice that most but not all of the APIs are publicly documented. Android 4.0 builds on the things people love most about Android — efficient multitasking, rich notifications, customizable home screens, resizable widgets, and deep interactivity — and adds powerful new ways of communicating and sharing. It includes many great features for users, including social and sharing integration, network data usage control, innovative connectivity and camera options, and an updated set of standard apps. Unified UI toolkit: A single set of UI components, styles, and capabilities for phones, tablets, and other devices. Rich communication and sharing: New social and calendar APIs, Android Beam for NFC-based instant sharing, Wi-Fi Direct support, Bluetooth Health Device Profile support. Deep interactivity and customization: Improved notifications, lockscreen with camera and music controls, and improved app management in the launcher. New graphics, camera, and media capabilities: Image and video effects, precise camera metering and face detection, new media codecs and containers. Interface and input: Hardware-accelerated 2D drawing, new grid-based layout, improved soft keyboard, spell-checker API, stylus input support, and better mouse support. Improved accessibility: New accessibility APIs and text-to-speech APIs for writing new engines. Enhancements for enterprise: Keychain and VPN APIs for managing credentials and connections, a new administrator policy for disabling the camera. 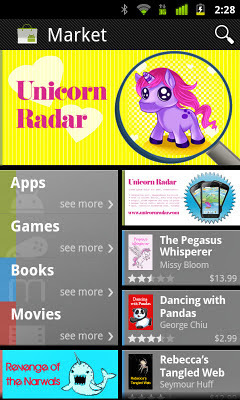 For a complete overview of what’s new for users and developers, please read the Android 4.0 Platform Highlights. To get started developing on Android 4.0, visit the Android Developers site for information about the Android 4.0 platform, the SDK Tools, and the ADT Plugin. If you have already developed and published apps, we encourage you to download the Android 4.0 platform now, to begin testing your app before devices arrive in stores. Check out the video below for a closer look at Android 4.0 in action. Today we are announcing Android 4.0, Ice Cream Sandwich — a new version of the platform that brings a refined, unified user experience for phones, tablets, and more. If your app is selected for featuring on Google Play,our editorial team uses your 1024 x 500 “Featured Image” to promote the app on tablets, phones, and the Web. The image can be used on the home page on all versions of Google Play (Web, tablet and phone), on your product page in the Web and tablet versions, and on current and future top-level Google Play pages on phones. Creating a Featured Image that will do a great job of highlighting your app requires special design consideration, and localizing your featured image for your key markets is highly recommended. While many promotional assets are listed as “optional” for publishing in Google Play, we strongly recommend treating them as required. To start with, a Featured Image is required if your app is to be featured anywhere within Google Play. They’re a good idea anyhow; they enhance your product page, making your game or app more attractive to end-users (and more likely to be considered for featuring by our editorial team). There’s nothing optional about the size, either; it has to be 1024 x 500 pixels. Your graphic is not an ad, it’s a teaser. It’s a place for bold, creative promotional images. Vivid background colors work best. Black and white are problems because those are the backgrounds used by the mobile-device and Web versions of Google Play. Limit Text to your app name and maybe a few additional descriptive words. Anything else will be unreadable on phones, anyhow. Do: Promote your brand prominently. Don't: Overload the graphic with details. Your image has to be designed to scale; it will need to look good both in a full-size Web browser and on a little handset. You can rely on the aspect ratio being constant, but not the size. Here’s a tip: Try resizing your image down to 1 inch in width. If it still looks good and conveys your brand message, you have a winner. Device imagery is tempting, but becomes dated fast, and may be inappropriate if your user’s device looks entirely different. In-app screenshots are inappropriate because your product page already includes a place for these. Just using your app icon is a failure of imagination. You have more room; put it to good use! Android's user base is global. To help you reach all of these users effectively, Google Play lets you provide a separate featured image for each language that you support, as well as separate screenshots and promotional videos. You can add your localized images and videos in the Developer Console. Localizing your featured image is highly recommended as a powerful way to get your message across to users around the world. It goes hand-in-hand with localizing your app's description and other details and it's built-in string resources. A 1024 x 500 Featured Image is required for feature placement consideration. Don't miss out on the opportunity!